I am very fortunate that 10 years ago my husband and I spent 10 days in Belize celebrating our 20th wedding anniversary. It was one of the best vacations we ever had and certainly very memorable. 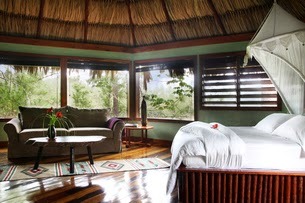 Belize is a romantic paradise with gorgeous coastal areas which makes for a great tropical destination. The weather is beautiful, the beaches have pure white sand and the ocean is a beautiful turquoise color. One of these days, we plan on going back! GAÏA Riverlodge, a celebrated ecotourist destination in Belize, is thrilled to unveil its recent recognition as a Top Eco Hotel by the Smith Hotel Awards. After careful review of nearly 25,000 votes globally, a panel of expert judges named GAÏA Riverlodge to its short list of top ten Eco Hotels in the World. 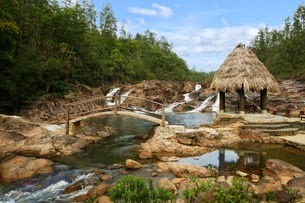 Tucked away in the Mountain Pine Ridge Forest Reserve and surrounded by the Five Sisters waterfalls, travelers seek out this hydro-powered destination for adventure and to enjoy the natural beauty and tranquility of Belize’s culturally rich landscape. 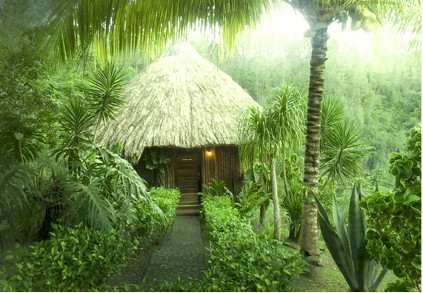 In a recent series of environmental initiatives, GAÏA Riverlodge is also one of the only five properties in Belize to be Green Globe Certified. The hotel prides itself in upholding the highest standard of sustainability and recently developed a fresh vegetable garden on-site, where guests can now enjoy hyper-local cuisine at GAÏA's acclaimed restaurant. Mr & Mrs Smith is an award-winning hotel website, booking service and free-to-join travel club, specializing in finding the world’s most inspiring boutique hotels. Boutique-hotel lovers around the world were asked to vote for their favorite hotels, which enabled Mr & Mrs Smith to curate a list of the global top ten. The selection criteria for the best eco-friendly hotels are those that are wholly committed to conserving, protecting and enjoying the environment, have an ethical approach, strive to minimize their carbon footprint, and does this all while enhancing the guest experience.